Try as you might, quieting the noise in your own head is hard work—we’re constantly being bombarded with notifications, messages, and chatter. It’s no wonder our brains can feel a bit foggy and scattered. But incorporating a meditation practice into your daily routine can provide a whole host of benefits including, but not limited to, decreased stress, improved concentration, and more creativity. Still need some motivation? Aly Raisman wants to do it with you. The two-time Olympian is partnering with the app Insight Timer and says on Twitter that one of her resolutions for 2019 is to meditate at least once a day. The app is a free guided meditation app, similar to Headspace, and offers almost 15,000 different types of meditations from over 3,000 different teachers around the world. So even if you think you might not be “good” at meditation, you’ll probably find something you like on the app. 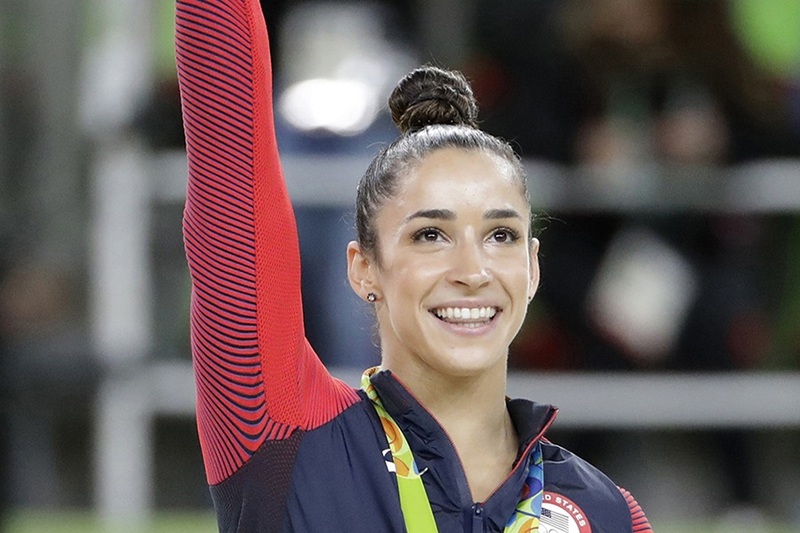 Raisman explained on Twitter that she has been meditating every day since April and has done over 1,000 guided meditations through Insight Timer. On an Instagram story, she said some of her favorites include Guided Meditation for Sleep, Guided Relaxation for Stress Relief, and Golden Bowl Meditation. Some of the benefits she has experienced from meditating include a clearer mindset, being able to stay more present, and a deeper appreciation for the good and beauty in the world. 1 of my resolutions is to meditate at least once a day! Meditation has helped me by reducing anxiety/stress, better sleep, less headaches & muscle pain, clearer mindset, greater appreciation for the good/beauty in the world, helps me be more present, more energy etc. The app also offers ways to connect with other users through online discussion groups and meet-ups conversing about everything from community support to Buddhism and mindful eating to stress relief. And if you don’t know where to start, the app organizes each meditation and course by topics, such as overcoming fear, mindful parenting, and motivation, so you can easily find a track right for you. Meditating everyday might not make you a two-time Olympian, fearless advocate, and New York Times best-selling author, but who knows. If it works for Aly, it just might work for you.